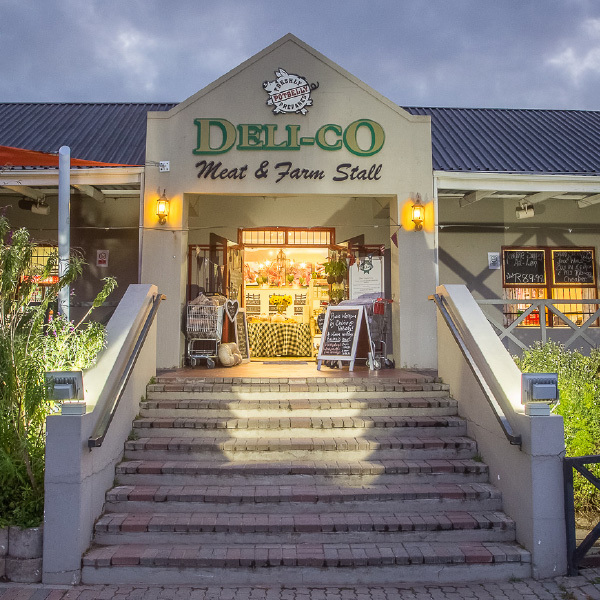 Today Deli-Co supplies over 800 businesses with meat! 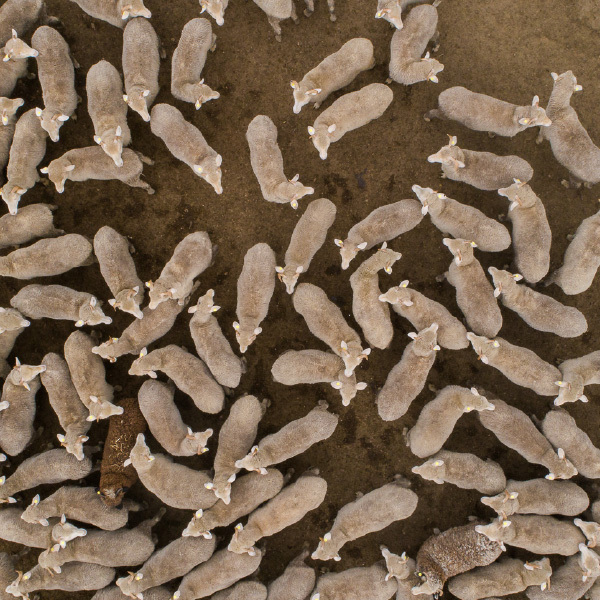 Thanks to the farm, feed mill and feedlots, we have the capacity to feed up to 10 000 lambs per day. 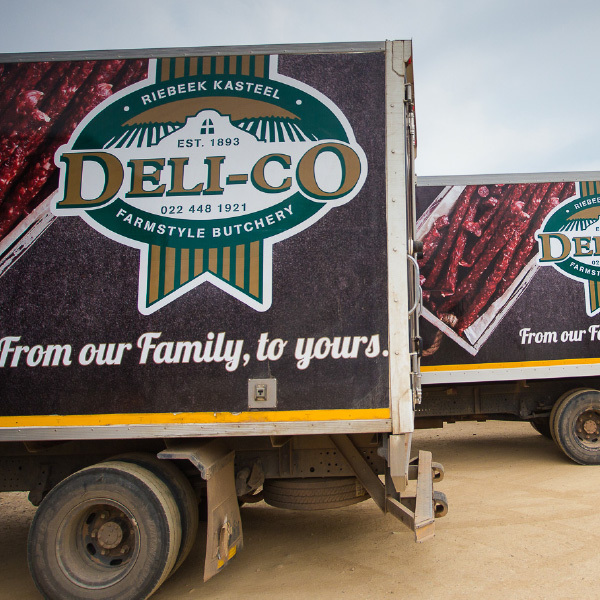 From where we started with a farm bakkie and trailer, we now have a fleet of 10 delivery vehicles that make between 200 and 300 deliveries on a daily basis, 6 days a week. 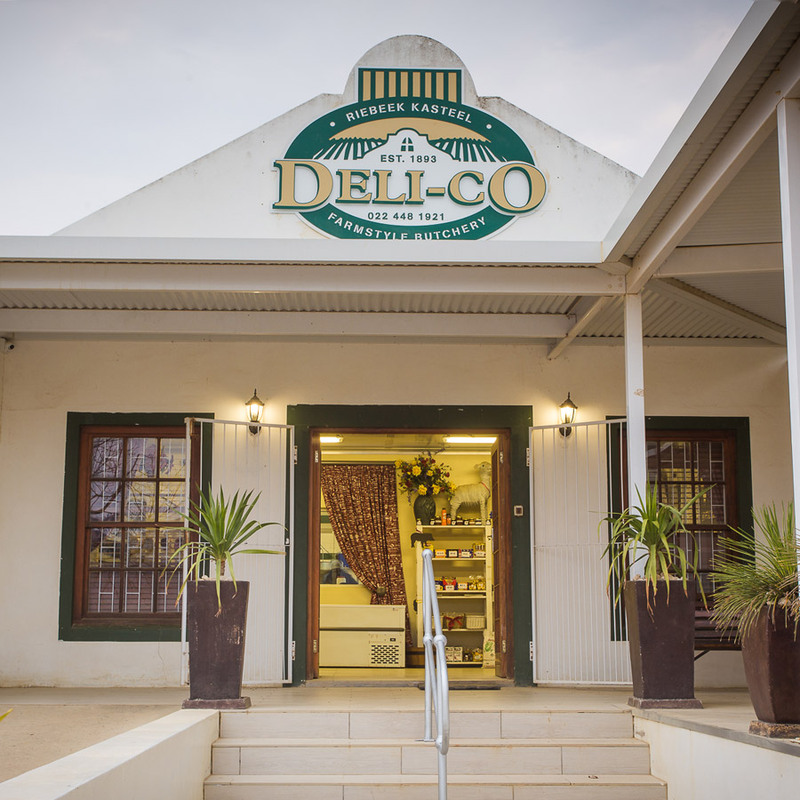 Our small team of 3 employees has grown to over 200 people who are permanently employed in the Deli-Co Group. 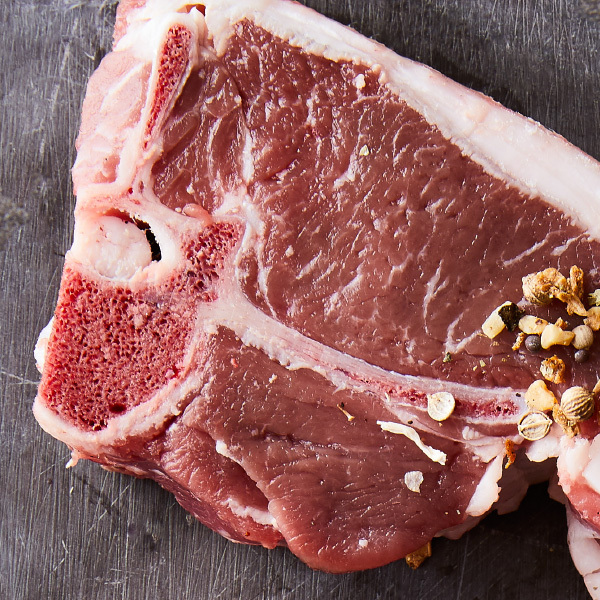 We’ve expanded our business to the point where we now have top managers for the farm, feed mill, operations, butchery and production respectively. 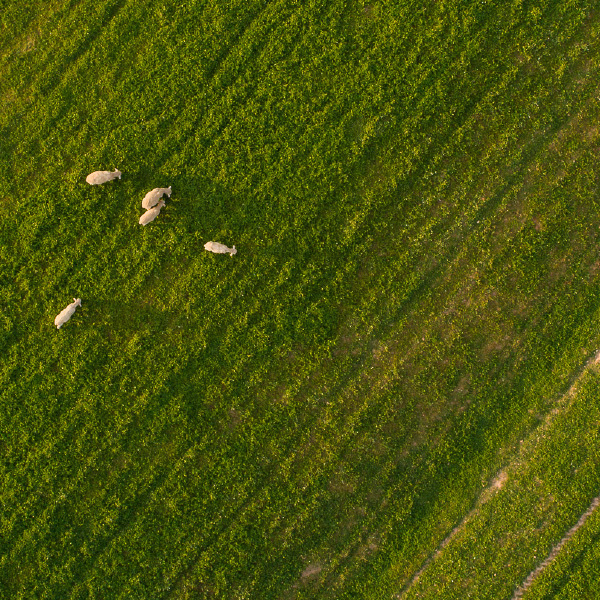 Even though we’re continuously growing our business, our foundation and values remain unchanged – and our business is, was and always will be rooted in a passion for family, people, animals, farming and meat. The De La Fontaine farm is a working wheat, cattle and sheep farm. 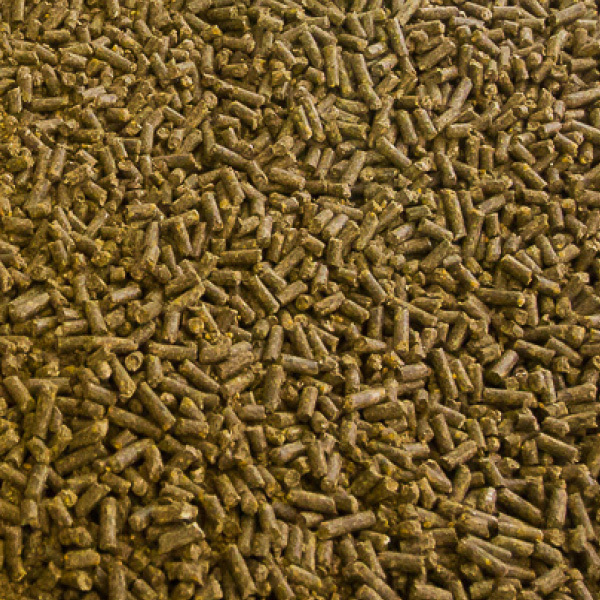 We produce 25 tons of superior quality feed per day. Our feeding facility can accommodate up to 10 000 lambs. 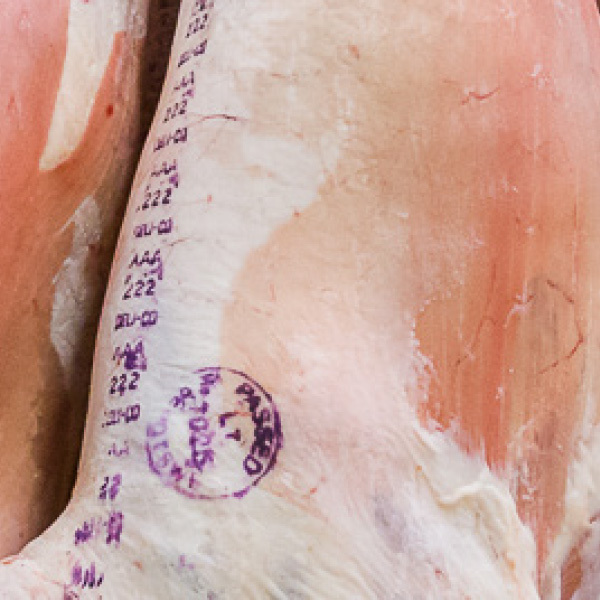 Every carcass that’s marketed under the Deli-Co brand comes from our abattoir. We use no chemicals – just fresh water, menorah blades and years of expertise. 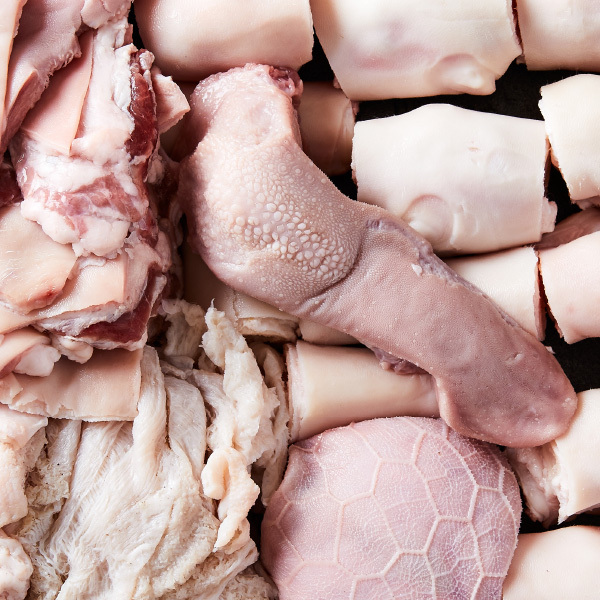 The butchery supplies to wholesale, tray-ready, catering trade, restaurants and domestic markets. We sell directly to the public and our surrounding community. We have 10 delivery vehicles that do over 300 deliveries a day. Place your order.